Wir haben uns wie Zuhause gefühlt und würden das Apartment jederzeit wieder buchen! Dank für die tolle Zeit! 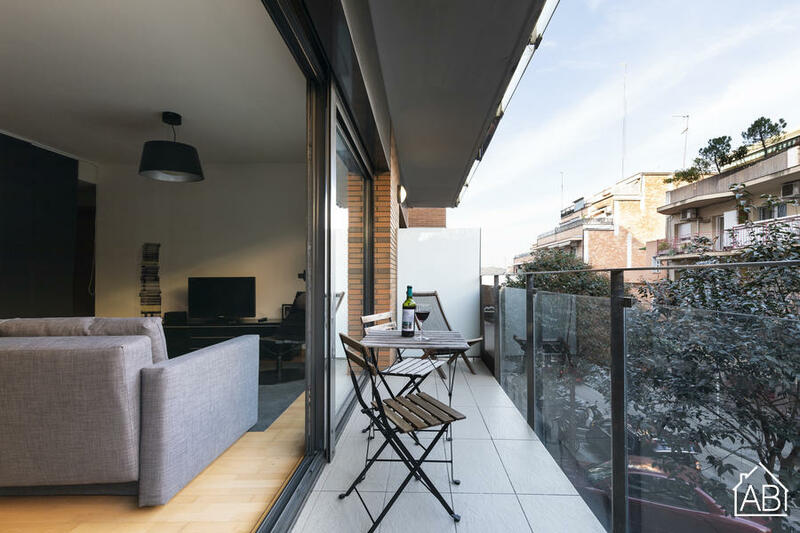 This stylish apartment is situated right next to Park Güell, one of Barcelona´s biggest attractions. The surrounding area is quieter than staying in the very city centre, while still close enough so you can get to all the sights easily and quickly. In this neighbourhood you will also find plenty of great places to eat out, as well as cafés, shops and supermarkets. The area is very well linked to the rest of the city via public transport. This stylish apartment has 1 bedroom, with 2 single beds. There is also a double sofa bed, allowing the apartment to accommodate up to 4 people comfortably. This lovely apartment comes completely furnished, with a fully equipped kitchen which has all of the utensils and appliances you´d need to create your favorite meals. The comfy living area has direct access to the balcony where you can dine ´al fresco´. There are many modern conveniences in this apartment too, such as a satellite TV, a DVD player, and an iPod dock, perfect for winding down after a day of sightseeing. An Internet connection is also available making it easy to stay in touch with family and friends back home. There is also a parking space available for free upon request (subject to availability). Please note that the entrance to the parking garage is quite tight, so only vehicles under the following size are permitted: 4.30m x 2.40m x 2.18m. AB Apartment Barcelona offers an exclusive free taxi service from the check-in office to this apartment. We ask that guests notify us of their arrival at the office. As well, our guests can leave their luggage in our office, also at no extra cost, before check-in at 15:00, or after check-out at 11:00.